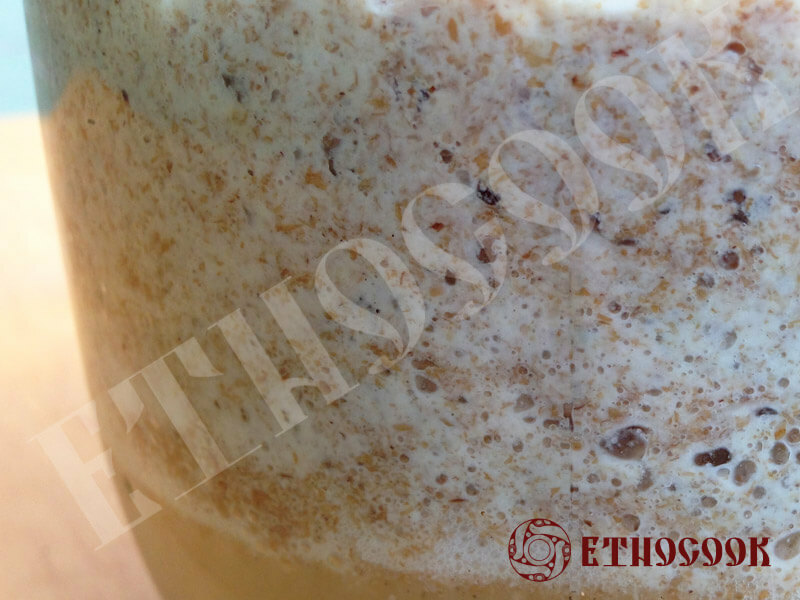 On the territory of Ukrainian lands people baked a bread using a sourdough starter. It was very popular from the ancient times till the last century. 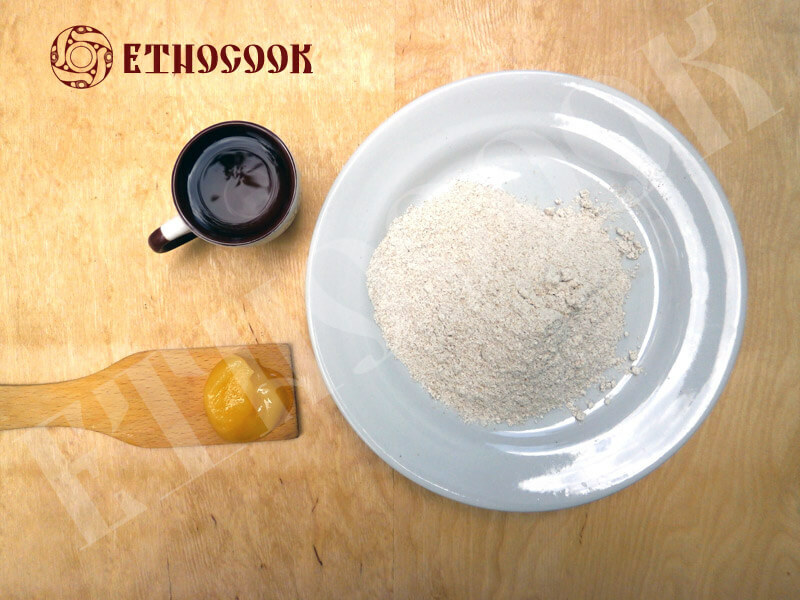 Etnocook presrents the traditional recipe of the simplest sourdough starter, so-called the natural “leaven”, “head”, “mother”. 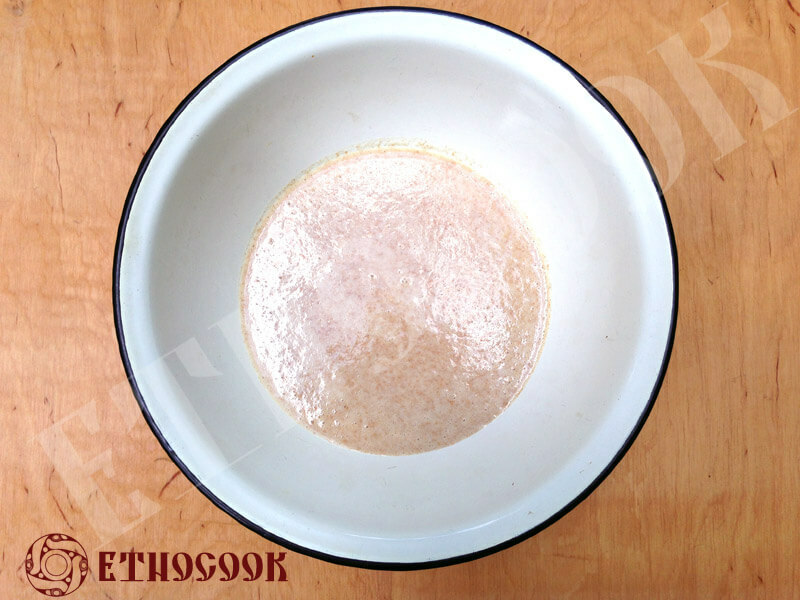 The starter is used for baking the Ukrainian ethnic traditional sourdough bread. 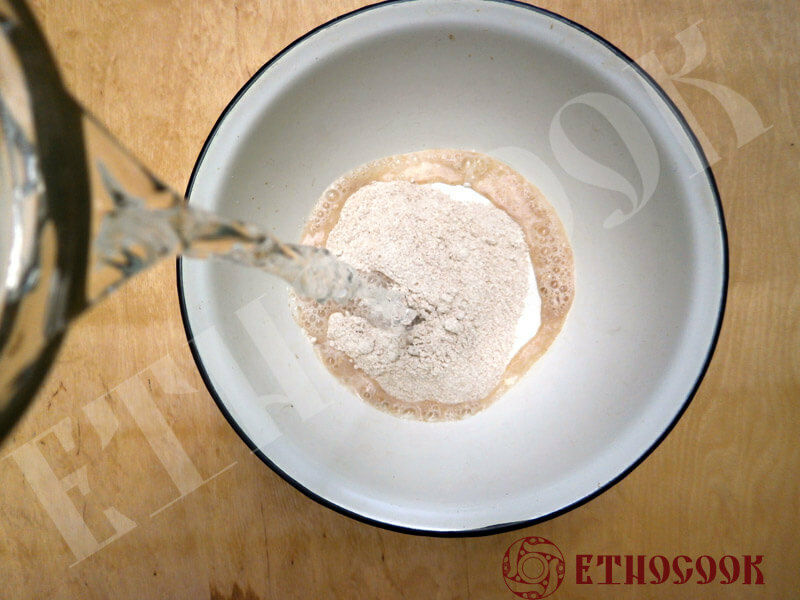 Mix 250 ml of water and 250 g of flour. 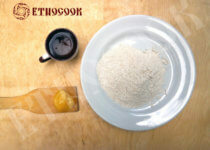 Add ½ tbsp. of honey, optional. Put the dough into a container, cover. Leave it for 24 hours to rise in a roomtemperature. 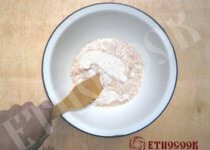 Add 50 ml of water and 50 g of flour. 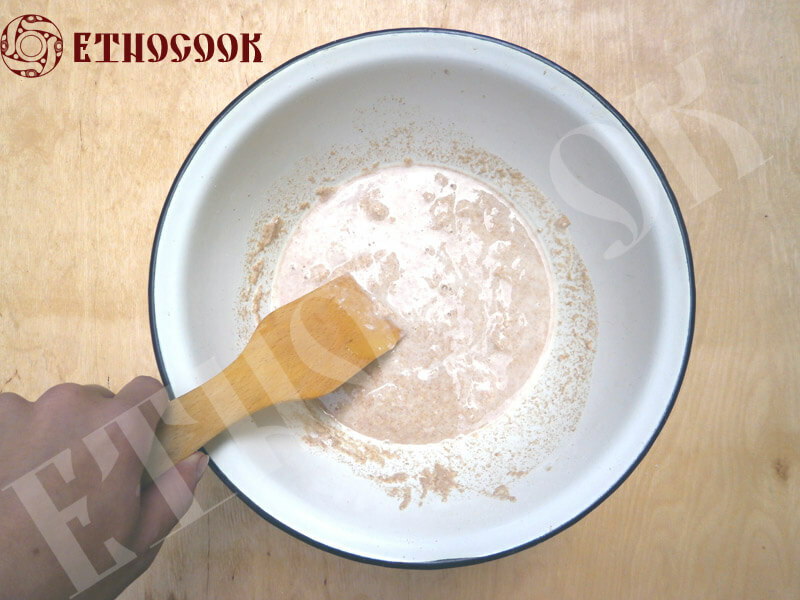 Add ½ tbsp. of honey, optional. Stir in, the ingredients must be thoroughly combined. Now the starter is "fed". Leave it for another 48 hours to rise in a roomtemperature. 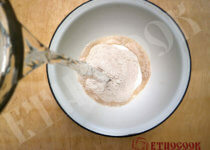 Add 50 ml of water and 50 g of flour. Stir well. 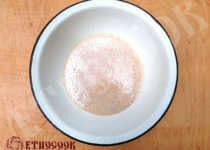 The starter must be bubbling actively. Leave it for another 48 hours to rise in a roomtemperature. 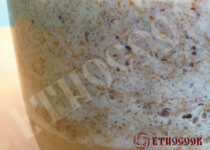 On the fifth day the sourdough starter is ready to be used for making the dough. 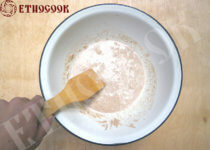 Take the amount of the starter that you need and the rest keep covered in the refrigerator. 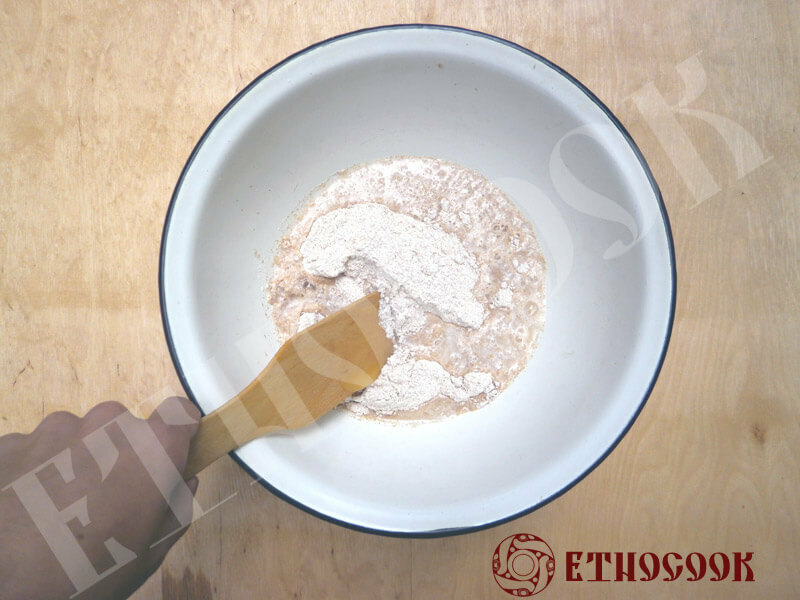 If the fresh starter is needed, then return it to the room temperature and “re-feed” it, adding equal parts of the sourdough starter, whole wheat flour and water.